Gevalia is Sweden's leading coffee brand, now owned by the international Jacobs Douwe Egbert group. Last month, it launched a new look with new packaging. Gevalia is an old brand with a strong heritage. Both the new and the old logo mixed cues from historical packaging, taking advantage of that heritage. Getinge is a Sweden-based medical technology company. It has expanded through acquisition, creating an unnecessarily broad portfolio of brand names. Last week, it announced that it would unite all its divisions under the Getinge brand, introducing a fresh new symbol at the same time. This takes the company from a multi-brand to a single brand strategy. Getinge had previously been an endorser brand, but will now be the main brand, with some legacy brands such a Macquet being kept as sub-brands. Good Grain is brand of healthy cereals, marketed in the UK by specialist cereal manufacturer Brecks. Recently, the brand was given a new look by Robot Food. The healthy cereal category suffers from a lack of consumer trust due to spurious health claims made by various manufacturers. The brand relaunch combats this and positions Good Grain as an honest challenger brand. This is reinforced through the launch of new products made that fit the new positioning. The new packaging dominated by vibrant colours and it tries to avoid category clichés. Dacha Media is a consultancy in Berlin that seeks to expose its clients to the English language through editorial services (e. g. professional translation). It recently launched a new visual identity and website, both designed by Startling Brands. The company was founded by journalists and works with journalistic content, so Startling Brands sought to emphasise the link to the media business. Visually, this was done with a logo featuring the letters D and M in the form of an open newspaper. The logo round-up for February is unusually tasty, featuring a large amount of food brands. But there were also several other noteworthy logo changes around the world. World-leading kids TV channel Nickelodeon launched a new on-air look over the weekend for this years edition of the Kids' Choice Awards. 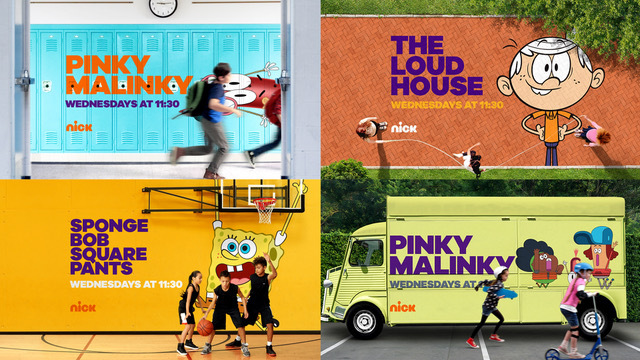 The new look was created by Buenos Aires-based Superestudio and features kids interacting with characters from Nickelodeon shows in a playful and surreal mix inspired by online culture. This should convey "play, surprise and imagination" and make the world feel more playful for the channel's viewers. Independent branding agency Robot Food have taken it upon themselves to launch a brand for tattoo care products, having noticed a lack of credibly branded products in that sector. The new brand is called Electric Ink and was largely developed in-house. Custom illustrations in contemporary tattoo style were developed by London artist Tom Gilmour. These dominate the packaging, giving it credibility and making it stand out. DígithoBrasil, a Brazilian IT solutions company, changed its name to Digix a month ago. The new brand is reportedly designed to better position the company as a provider of IT solutions for public management. They kept the colors from the old logo, but applied them to a flexible logo, featuring a constantly changing blob. 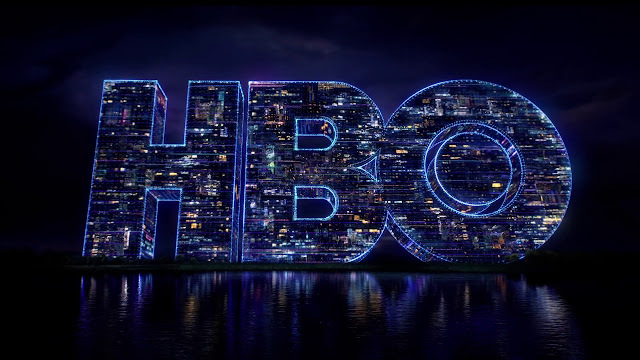 Back in 1983, HBO premiered an elaborate extended intro to be shown before feature presentations. It was used for many years and noted for the (at the time) high production values and overall "epicness" that made it stand out among TV graphics at the time. Recently, Imaginary Forces produced a new version of the intro, updated for 2017. Rather than panning through a modelled city, the new version zooms into homes of viewers consuming HBO content on various devices. It was created through a combination of live action and computer graphics and features an updated orchestral score. Aldi Süd is one of the world's leading discount supermarket chains, operating thousands of stores in southern Germany, the United States, the United Kingdom, Australia, Austria, Switzerland, Italy and other countries. Last week (March 2), the company unveiled a refreshed logo. It was developed by an agency called "illion. markensocietaet". The new logo builds on its predecessor, but gives the individual elements a more contemporary look. According to a press release, this reflects ongoing changes in the company. The new logo is reportedly already used in China, but will start rolling out in other countries in June. Pechanga Resort Casino is an Indian casino with resort facilities in California. Yesterday, it launched a new brand identity, developed by Troika, to highlight an upcoming expansion. Troika created a simple recognisable P logo that works better across digital platforms. It should also better convey that Pechanga is a luxury destination. The feathers from the old logo are only present as an abstraction at the bottom of the P.
American IT services company CSC (or Computer Sciences Corporation) is in the process of merging with the Enterprise Services division of Hewlett Packard Enterprise (HPE ES). Last month it was announced that the combination of CSC and HPE ES will be called DXC Technology. The brand was developed by Siegel+Gale. According to a press release, DXC's mission is to guide its clients on "their digital transformation journeys", which may explain the name.